“Bizet, Rossini, Mahler, Chausson, Bellini, Haydn, Berlioz, Saint-Saëns, Offenbach, Stradella. The list of singers who would be comfortable in such a broad range of musical and dramatic styles is a very small list indeed. By ‘comfortable’ I don’t mean just singing the notes. What I am talking about is conveying the appropriate musical style – everything from phrase-shaping to color and weight of voice and dynamic range – for each of those composers. One singer who easily passes that test is Jennie Tourel. 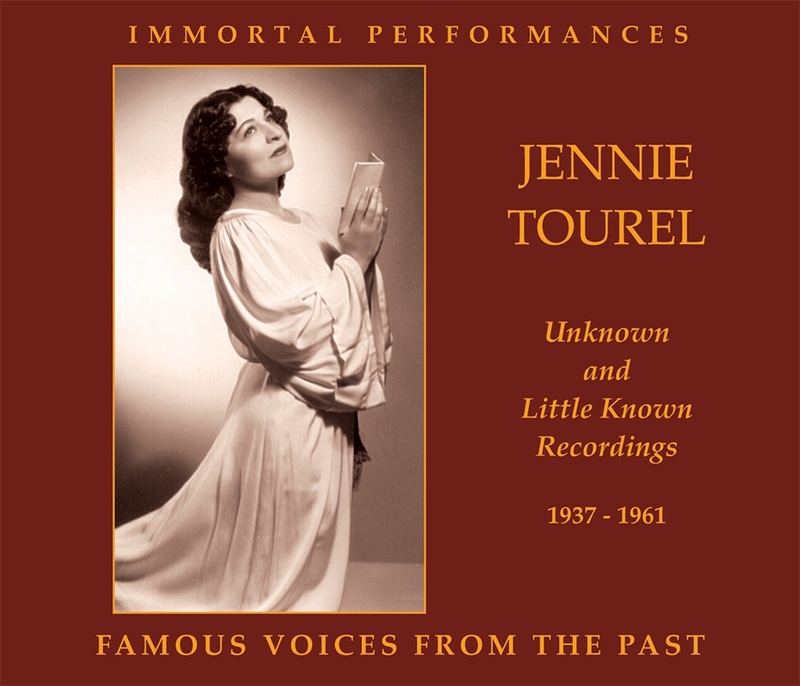 The opportunity in this set to hear Tourel in such a wide range of material gives the listener a chance to re-assess her and, frankly, brings a new appreciation of her artistry and her natural vocal strengths. 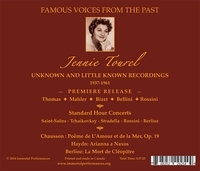 Listening to the extraordinary range of repertoire encompassed in these three discs makes clear that Tourel was one of the most significant singers of the middle third of the twentieth century. What makes her unique, in my view, is the combination of vocal opulence and musical intelligence and musical curiosity. Many singers who possess the opulence settle for that quality – or they add a relatively smart and interesting degree of somewhat generalized inflection and coloration. Many singers who have the ability to project every nuance of a text and dramatic situation lack the sheer richness of tone capable of bringing goose bumps to the listener just because of the sound itself. With Tourel you get both. Always alive to text, to dramatic situation whether comedic or tragic, and to the harmonic movement within a musical line, she at the same time made a truly glorious sound when she opened her mouth. It is that very rare combination of musical and vocal assets that this set celebrates, and documents."